I finished reading Sam Harris’ The Moral Landscape a week or so ago. The book had come up in several discussion with some atheist friends and in order to have an informed opinion, I read the book. I don’t have that much to say about the book that hasn’t been said much more eloquently than I am able to. But here are some general thoughts and one thought in particular. On a positive note, I found some of the neurological research he brought up to be genuinely interesting. They bring a certain level of clarity of mental phenomena which is helpful. And I really liked his argument against moral relativism. Moral good and evil do exist and I agree with Harris when he points out the wrongness of those who think they don’t. I just don’t find his utilitarianism to be an adequate basis for affirming the opposite. But that’s about it. I found the book to be poorly argued. His rhetoric is forceful and comes across as confident, but his lack of real engagement with his opponents turns that confidence into arrogance. He almost never charitably and impartially represents opposing viewpoints, but restates them in ways that’s very close to the creation of straw men. Which makes his arrogance deeply frustrating. And his case unconvincing. I found myself raising what I thought were obvious objections that often weren’t addressed at all and when they were, they were represented in simply uncharitable ways. I was left with an strong sense of epistemological dead ended-ness of modernity itself. The reductionism inherent in modernistic, scientistic modes of reasoning which create Harris’ neuro-centrism, where everything must be reducible to brain states in order to be worth talking about, is just depressing. It’s impatient, somehow, with being human. I don’t know. The book kind of made me hate modernity as a whole. I’m pretty sure that’s not what Harris intended. The chapter I found most objectionable by far was the one on religion. First of all, I found it weird, because it had little or nothing to do with his central thesis on morality and was basically reducible, pretty much all of it, to the argument from incredulity. “Look at this ‘sophisticated Christian’ – he believes all sorts of weird stuff! Religion is crazy and incompatible with science!” Uh, yeah. Ok. And what does that have to do with the moral landscape? With a science of morality? Harris doesn’t say. It’s in the chapter about religion that Harris makes a rather glaring mistake. Harris is known for his, shall we say, special disdain of Islam and it shows in this chapter. In his fervour to blame theology and religion itself for the evil of Islamic terrorism, he leaves behind his otherwise (somewhat) scientific treatment of religion. But I’m getting ahead of myself. First, the somewhat scientific treatment of religion. That seems true enough. Religion becomes more attractive and religious truth-claims more plausible in socially deprived and unjust environments and situations. I don’t think that’s all there is to religion, but it certainly can be seen as a response to social insecurity. There are, thus and according to Harris, underlying factors that explain religious adherence. But in the same chapter, when talking about Islamic terrorists, Harris ridicules attempts to explain terrorism with reference to “deeper” (his own quotation marks) factors than their mere beliefs. In this context he quotes anthropologist Scott Altran and his research on Islamic terrorists. Altran explains the actions of such terrorists by referencing bonding between what he calls “fictive kin”, and the “sacred values” and “moral obligations” shared among such groups. (I’m using Harris’ own summary of Altran’s thought here. Given my comments above about his uncharitable characterisations of his opponents, I’m open to the possibility that I have mischaracterised Altran. If anyone knows better, do correct me.) Reference to deeper, underlying factors such as these to explain Islamic terrorism are a no-go for Harris. Many social scientists have a perverse inability to accept that people often believe exactly what they say they believe. […] How can we explain this behavior apart from the content of people’s beliefs? We need not try. Especially when, given the clarity with which they articulate their core beliefs, there is no mystery whatsoever as to why certain people behave as they do. So when a suicide bomber says his first and foremost duty is to serve Allah by dispatching infidels to hell, that’s the end of the discussion for Harris. Attempts to explain terrorism with reference to social and anthropological factors are rejected out of hand and mocked for good measure. Yet in the same chapter he himself reduces religion to the social factor of insecurity, thus showing what he himself calls a “perverse inability” to accept that people often believe exactly what they say they believe. “Deeper” explanations are OK for religion as a whole, but not for religious actions Harris finds especially offensive. “Deeper” explanations are OK for Harris himself, but not for other people, I guess. That’s not to say that the explicit beliefs of Islamic terrorists shouldn’t be taken into account. They certainly should. But Harris is simply not being consistent here. ← No, Creationists Aren’t Crazy. You’re Just Lazy (Among Other Things). And that’s where you’re wrong. He doesnt reduce religion but merely cites factors that contribute to religiousity. Have you ever heard someone say “I know God exists and what he wants because I am poor and oppressed” ? No, you’re right, I haven’t. And that’s kind of the point. Social insecurity is a more or less subconscious factor contributing to increased religiosity. The people who become religious in societies characterised by social insecurity aren’t explicitly aware of the influence of social insecurity. That’s a perfectly reasonable position (especially in light of what Harris says other places in the book about just how cognitively unaware we are of what’s going on in our brains). But why can’t the same thing be said of Islamic terrorists? If the explicit reasons religious people give for their faith (personal revelation, perceived reasonableness, moral motivation, emotional satisfaction, etc.) can be seen as a kind of subconscious veneer over the real, more basic reason (dealing with social insecurity) – why can’t the same be said about the explicit reasons terrorists cite for their actions? I think we agree to a point. Yes, even for the terrorist ‘social insecurity’ could also very well be a ‘basic reason’ to be religious. But that’s where I stop, you see, the devil is in the details as they say. Social insecurity could lead to a life of religious belief but it matters very much what the contents of that belief turn out to be; it could be hindu buddhism in Tibet or christian Pentecostalism in the US or indeed Islamic jihad. All very much different in belief and practice but only islam is breeding the amount and type of terrorists that we see today. 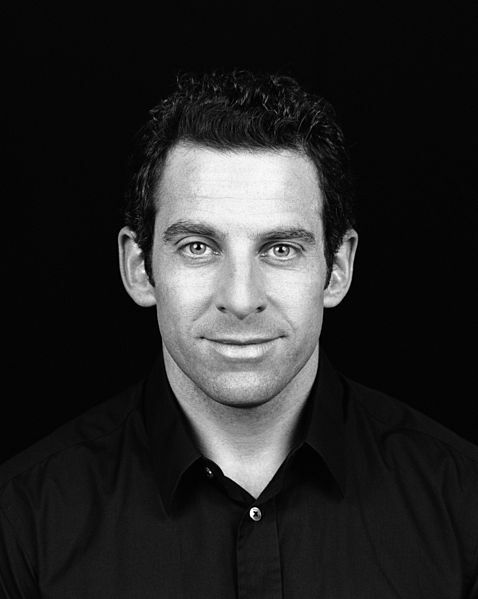 The point is often made by Sam Harris by giving the example of Jainism. I agree completely! If I gave the impression that the content of a person’s beliefs don’t matter, I must apologise for being unclear. I’m simply saying that Harris is inconsistent in his strong emphasis on underlying factor on the one hand, and complete dismissal of such factors on the other. I don’t understand why you find that inconsistent if you agree that a difference exists between reasons causing religiousity and the reasons causing violent jihad. It seems curious that unconscious reasons should exist for religiosity in general, but not for religious actions like terrorism in particular. How does that work? could, not should. Not all who are religious come from poor and unequal backgrounds. And lets keep in mind that ‘social insecurity’ is still no more than a corellating factor. Let me rephrase my earlier comment(s) on ‘social security’ and it being a ‘basic reason’ for religiousity. I actually don’t think that unconscious reasons exist for religiousity but that ‘social insecurity’ does provide for a societal structure in which certain needs are triggered and the family and larger community structure with their authority figures become more important. Within this structure higher levels of trust are given to the authority figures that happen to be the imam and the priest. So in the end we end up with people who are religious simply because they believe it to be true in trust of their imam/priest while the fact of ‘social insecurity’ holds true as well.